How Long Do Poppy Seeds Stay in Your System? Poppy seeds are seeds derived from the opium poppy, Papaver somniferum. They're used in many cultures, often as an ingredient in desserts and baked goods. Poppy seeds do not have any hallucinogenic properties, although they are derived from the same opium poppy plant from which opiates do. 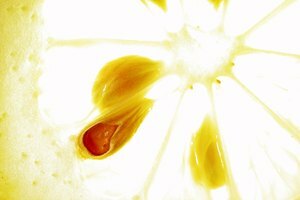 Opiates are made by milking the seed pods rather than the actual seeds. You'll commonly see the little blue seeds used in breads, bagels and muffins in the United States. Do Poppy Seeds Show Up on a Drug Test? 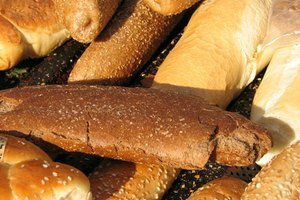 If you are scheduled to take a drug test, avoid eating anything containing poppy seeds before your test. This is because eating poppy seeds will cause a positive reading for opiates. Although eating very small amounts of poppy seeds will most likely not show up on the test, ingesting larger amounts, such as several bagels containing poppy seeds or several poppy seed muffins, will show up within 20 minutes of eating the seeds. Tell your nurse or drug test administrator if you have eaten poppy seeds in the last 3 days, so he or she will be able to give you a follow-up test or take this information into account if your results do come up positive for opiates. How Long After Ingestion Will You Test Positive? The television show "Mythbusters" tested the potency of poppy seeds by giving several test subjects foods containing the seeds, then subjecting them to periodic drug tests. One subject consumed a loaf of poppy seed bread, while another consumed three poppy seed bagels. Both tested positive for opiates within 1 hour, and did not test for opiates after 3 days. 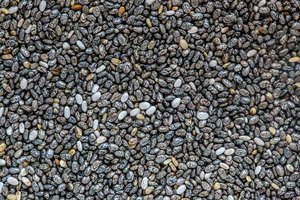 If you are scheduled to get a drug test and have recently eaten poppy seeds, you may want to schedule your test for 72 hours after you have ingested the seeds to be sure you do not test positive.